Creative Pixelz helps you improve your business and direct more traffic to your web site with our custom email campaigns. Email is a becoming a very powerful marketing strategy. Even with spammers abusing the medium, email can still be used and is still valued by users for attractive, timely, and rich information and advertisements; sending emails with the purpose of enhancing the relationship of a merchant with its current or old customers and to encourage customer loyalty and repeat business. The advantage of an email newsletter or email marketing is clearly the ability to distribute information to a wide range of specific, potential customers at a relatively low cost, compared to other media such as direct mail or printed newsletters. Creative Pixelz has learned that a well-planned effective email advertising campaign can help your business products and services gain visibility. Some of the benefits of email marketing campaigns are the 'low cost' of marketing the business message makes email marketing most preferred choice of direct marketing their products and services among small and mid-sized businesses (SMEs). With this e-marketing you start getting quick response once your email reaches your targeted customers. E-mail can be the most effective as it increase traffic and sales ultimately. We have found that companies follow the strategy of 'quality category targeting ', sending mails to people who have opted-in for receiving emails for particular category (they show interest in particular category of products and services) so response rate from this direct marketing method is high. It's difficult enough to get visitors to your site once; it's nearly impossible to get them to return time and again. With a well-designed email newsletter or other email marketing campaign, you can deliver new Web pages into your prospects' and customers' email inbox, staying in touch and in front of them with a minimum amount of effort or expense. Creative Pixelz has helped dozens of businesses by creating customized, branded email newsletter templates that they can use to publish their own email newsletters. Get a free Website Consultation today from one of our experienced website specialist. 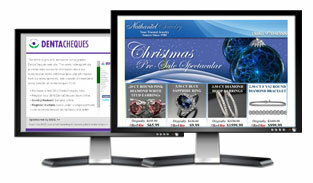 Make your website stand out from the competition with a custom designed website. Our experts will make your website stand out from the comptetition. We have finally completed the new creativepixelz.com. enjoy..